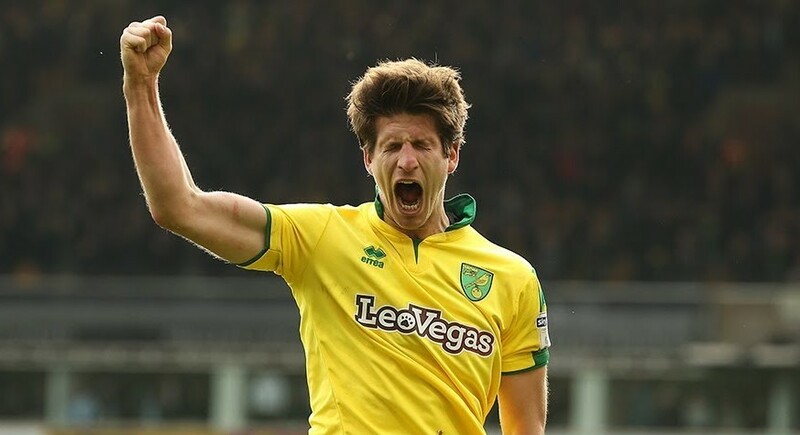 It’s a bit early for the silly season but, amazingly, names are already circulating online; some who may be in City’s sights in the summer and some who are reportedly available now and could help the final push for promotion. Those listed below are all mentioned on a site called Soccer Souls and most are not to my knowledge available on a free or would be within City’s budget at present. Max Kruse, João Pedro, Nicolas Benezet, Maxime Le Marchand, Aaron Mooy, Remi Oudin, Francesco Caputo, Zelimkhan Bakaev, Sebastian Driussi, Jarrod Bowen, Maddison, Stefan Savic, Maxwell Statham, Ze Luis, Marlon Pack, Taras Romanczuk, Nuno da Costa, Giorgos Masouras. Only five of these players are at this time playing in the English leagues – with Spurs, Huddersfield, Peterborough and Bristol City – and so, as with most imports, there would be a settling in period. They also conveniently forget to delve into how costly (or otherwise) these players might be. In the real world, if promotion becomes a reality, Stuart Webber and Daniel Farke will stay loyal to the squad that has served them so well this season but will strengthen it with small tweaks, not a wholesale remodelling on a Fulham scale. Goalkeeper: There has been some talk of City taking Angus Gunn from Southampton – especially if they get relegated – but after his last two performances there, I think he will establish himself as their number one. Frazer Forster, Dean Henderson and Nick Pope are other possibilities, but the most likely solution would be a second-string keeper from a Premier League club. Right Back: With all the rumours around Max Aarons and with other interested in Ivo Pinto, a permanent deal for Felix Passlack – currently on loan from Borussia Dortmund – must be a possibility. What happens to Max will dictate. Left Back: There is of course speculation around Jamal Lewis – just as there is with Aarons – but Philip Heise has already been brought in to add cover here, although he’s yet to feature. If Lewis departs then more cover will be needed. Centre Back: We already have Grant Hanley and Timm Klose not getting game time – for all the right reasons – and there are of course question marks over whether either are happy to be bit-part or will want another tilt at the Premier League. It all depends, as ever, as to the offers that appear on the table, and there are of course the persistent Ben Godfrey rumours. The ex-York youngster is still learning his trade so, hopefully, we will get another season out of him. And then there is the enigma of Sean Raggett – so far never given a chance – who, along with Marcel Franke, looks likely to be allowed to leave. Midfield: Recent performances have suggested that Tom Trybull is now equally effective in the role as Alex Tettey – who has another year on his contract – and of course there is a fit-again Louis Thompson to add competition in that area of the pitch. Striker: We will need a back-up for Teemu Pukki – especially if Jordan Rhodes goes back to Sheffield Wednesday – and maybe two new strikers if we go up. Let’s not forget though, Abrahams, Sbreny, Fonkeu, Morris and Idah will all be looking to be given that chance. We know Steven Naismith, Pinto and Michael McGovern will all be leaving for free, but there will be others – some from the Under-23s – who will be deemed surplus to requirements. It’s not just players who will have caught the eye of others, unfortunately. 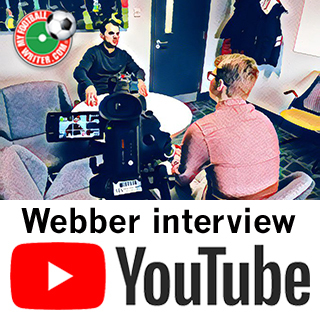 This will be the second club that Stuart Webber has steered towards promotion, so his confidence will be high and bigger and richer clubs will be looking on enviously, hoping they can tempt him into moving. I would like to think that he will stay for at least one more season, if not longer. By the same score, Team Farke will also be on the radar of bigger clubs, although the fact they have signed up until 2022 offers some comfort – and would at least ensure the club is well compensated. Big clubs both here and in Germany will not be deterred by contracts however and while all the rhetoric may sound great to us supporters, ambition to manage a top team just may come into play at some stage. If we do go up, to keep City in the Premier League would be a huge achievement in itself, but to do it the season after would really prove his managerial skills to all interested parties. Lots of ifs and buts, but promotion is in our own hands, and if we fall at the last hurdle for automatic and have to go the playoff route then so be it. So far it has been an exciting and unexpected season full of ups and only a few downs. Either way, for the next few weeks and months, speculation will be rife about ins and outs and loads of agents will be trying to convince us their player is the one City needs – either for promotion this season or to rebuild for next season. Yeah I check out Soccer Souls occasionally via NewsNow and the only interesting thing I’ve learned is that their logo features the same colours as Sky Sports! I agree with you and they never quote a possible fee required. This season we’ve already conceded 48 goals, so it’s probably going to be 50 – 55 by the end. What the likes of Sterling, Hazard and Salah might do to us the way we play at the moment doesn’t bear thinking about. Despite our defensive record 2 of our back four have been selected by their peers in the division’s team of the year. Presumably that is as much because of their attacking threat as their defensive qualities. How Farke sets about rectifying this without sacrificing all the good work he’s already done will be interesting. Will it mean playing with two less attacking full backs? Will he choose to tighten up in the middle of the park? Clearly before recruiting, or selling, anybody, Farke and Webber will want to decide how best to adapt our style of play to survive in the PL. I’m sure they’re already thinking about it – I doubt if the Soccer Souls pundits have given it any thought at all. Possibly Krul will be the back up I like him as a championship keeper but think he just may not cut it in the prem again. Will we see Raggett get a game can Hanley do it in the Prem, Rafa didn’t think so and soon sold him after promotion. As you say many defensive questions to be answered and as with you I would expect SW and DF have been working overtime to sort it out and will have plans in place for next season. Unless Farke is sacked he won’t be leaving before his contract expires. I have to endorse all the above comments on Soccer Souls. That said, we can make some reasonably informed guesses, at least about positions. Strikers and wingers, for instance, would seem a key area to strengthen if we’re to offer a threat in the Premier League. We’d still have to spend wisely, and I’d expect the bulk of signings to come from the Continent. One exception might be Aaron Mooy; he was key to Huddersfield’s success in Stuart Webber’s time, and should certainly be playing again in the PL next year. I like your musical connection – it was all over the speakers when I did the Christmas Post back in the Romford sorting office around 1972. I was 15 then so the year is probably right. Speculation will indeed be rife but IF we reach the promised land this current group must be given every opportunity. And I’m sure they will be, because while we’re solvent, we don’t want to be come broke.a la Fulham. Bachmann Turner did some good music.